The e-beam lithography is used to provide high resolution circuit patterning for circuit fabrication processes. However, due to electron scattering in resist and substrate it occurs an undesired exposure of regions which are adjacent to the actual exposed regions. These proximity effects represent an essential limitation to the attainable lithographic resolution. Since these effects can be described mathematically, different approaches were investigated to simulate and correct them. The developed algorithms provide the required precision for printing of circuit patterns, but on the other side demand a tremendous computational power. Modern GPGPUs consist of hundreds of processing cores and provide the same computational power as a small cluster. Therefore, the required computational power of correction algorithms may be achieved using GPGPUs. 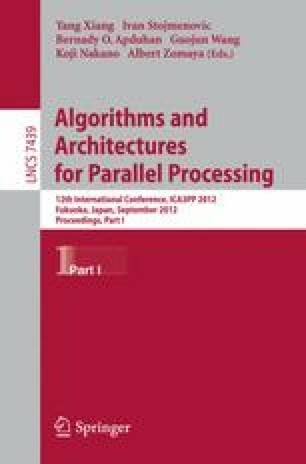 In this paper, we evaluate the achievable performance for a short-range proximity effect correction algorithm using GPGPUs.